You have entered the fascinating world of the very best cheeses available….Anywhere. WisconsinCheeseMasters.Com has assembled exclusive cheese selections impossible to buy anywhere else. We have assembled distinctive collections of our favorites from around the state. Almost none of these cheeses are available at even the finest cheese store outside of Wisconsin and most of them are equally hard to find even within our beautiful home. Wisconsin cheeses are some of the most lauded and award winning cheeses in the world. For your benefit we offer only the finest products that Master, Artisan and Farmstead cheese makers in Wisconsin craft. Only Wisconsin – only the best. We live in a state where it was illegal to serve apple pie – in public – without a slice of cheese! It was also unlawful to sell butter-colored margarine. “America’s Dairyland”. Today those restrictions are no longer necessary since the world has agreed that Wisconsin cheeses are among the finest anywhere. In fact, Wisconsin is the home to over 36% of the World’s Champion cheeses. And, most years, a Wisconsin Cheese is voted “Best in Show” at the American Championship competitions. The awards are too numerous to list, but perennially Wisconsin cheeses win more World Championships than any other country! Our secret? 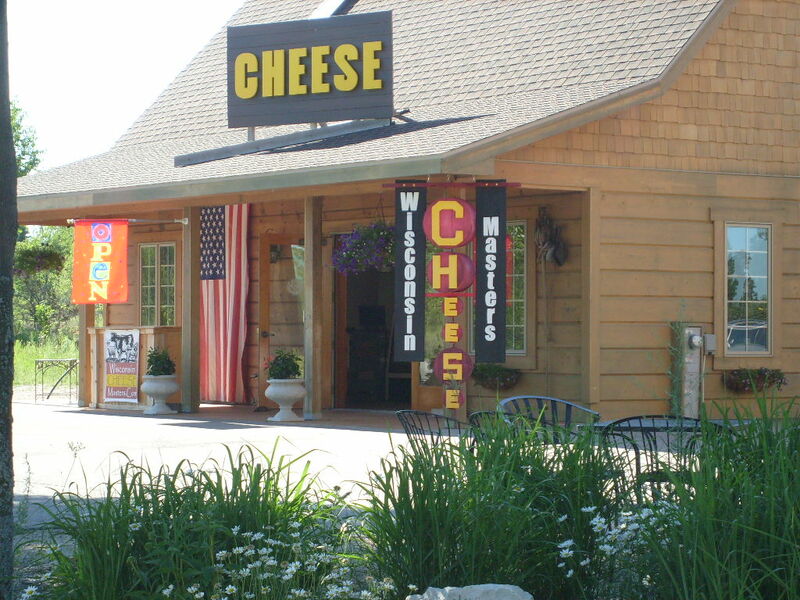 Well, there are only 60 Master Cheese Makers in the country and all of them live and work their magic in Wisconsin. Combine that with the resurgence in artisan and farmstead cheese making and you have the inspiration behind WisconsinCheeseMasters.Com. The cheeses that we are proud to sell are not ordinary. They are not mass produced. They are made using ancient techniques and a great deal of effort. They have been developed and perfected over years of trial. They are hard to find. And, we are happy to say that we have found them for you. Even though we are so selective, we are able to offer a huge array. That’s because almost one half of the specialty cheeses made in America come from Wisconsin. With over 600 varieties to choose from our selective buying yields cheeses to please every palate – from the novice to the aficionado. Most of our cheeses are sold by the half pound, enough to thoroughly enjoy. We have gift boxed our collections in Wisconsin crafted wooden boxes which can be used for years around the house in any number of ways. Many of our collections also include Wisconsin-made food items that complement the collection and make it a feast-in-a-box. Because our cheeses are so special our collections include description cards of each variety to make any party or cheese course complete. As we expand our offerings we encourage you to let us know what we have missed, how we can make your enjoyment of fine Wisconsin Cheese more complete and what we can do to keep you coming back for more.